Experience an intense training and taster day like no other. Guidance, direction and training on core presenting skills by some of the industries top media coaches in a fully equipped studio. 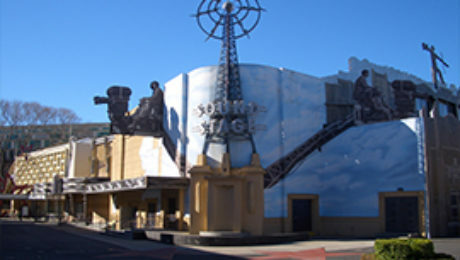 We’ll then help you put some scripts together and then use your new skills to shoot high impact pieces to camera on green screen and studio. 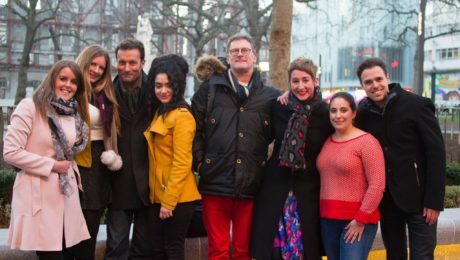 Whilst intense, the day is great fun and packed full of key training to help launch your TV presenting career or create the foundations for video blogging, video marketing and social media promotions. As we record your live footage throughout the day you will also have the opportunity to download your very own professional edited show/sizzle reel for a small fee. 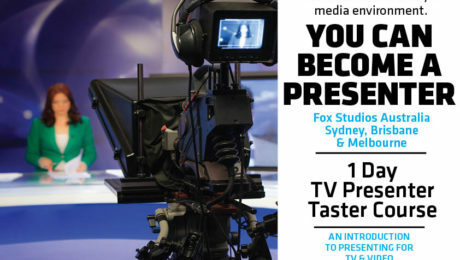 Our TV Presenter Training taster courses are held at our HQ in Fox Studios Australia (Moore Park, Sydney), Brisbane (QUT CEA), Melbourne, Gold Coast and other regional studios. 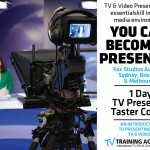 Designed by the TV Training Academy, this course includes Appearance, Timing and delivery, Mental approach, Lighting and perspective, On camera exercise recorded on green screen with studio backdrop, PTC (Piece to Camera), script writing and autocue, co-presenting/interviews, filming presentation content for video and digital marketing, critique, questions and answers). What’s more, NSW agents are eligible to earn 12 CPD points* through MyrealestateCPD* on completion of this training. 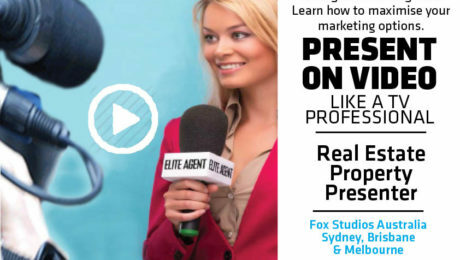 Learning to appear confident and natural while communicating effectively has never been more important for agents, particularly as it applies to video marketing. 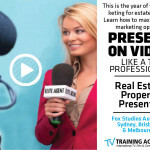 We already know high impact presentations using video can make all the difference when it comes to being recognised by your local community and receiving greater interest in your listings. Agents placing themselves on camera have also been proven to increase conversion rates and raise individual agent profiles. During this face-to-face course in a fully equipped studio, you’ll be given the guidance, direction and training that many TV presenters already have. Included will be topics such as on-camera communication, mental approach, and core presenting skills taught by some of the industry’s top media coaches. These sessions offer invaluable advice and guidance on how to engage and captivate your audience and convert buyer/seller interest into listings and sales. We will take you through the principles of effective communication, while learning the skills of presenting, script writing, autocue, green screen and much more. While the training will be intense, it is great fun and packed full of vital training to help create effective video pieces. Courses operate 7 days a week but places are limited to enable individual attention so book your training now by clicking the “Book Now” link below. For Group/Franchise bookings please call us for available discounts on 1300 781 739;. Happy New Year from the TTA Office! 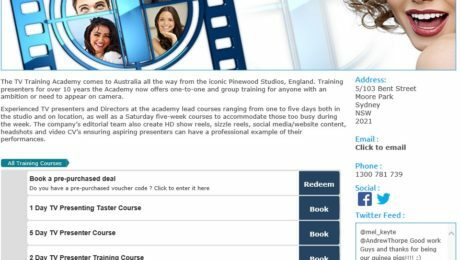 Thanks to everyone who attended our courses last year at Pinewood Studios (England), wishing you all the best in 2015 and looking forward to seeing you at our new location; Fox Studios in Sydney Australia or in one of our regional studios in Brisbane or Melbourne. We do have new dates for ALL of our courses and filming in the New Year so if you are interested get in touch.